The St. Louis Cardinals system went 3-1 on Sunday. Player of the Day Patrick Wisdom helped power a late comeback by Memphis. Peoria clinched a playoff berth and Angel Rondon and Stanley Espinal led State College to a 10-inning road win. Recaps from games played on Sunday, June 17. With a three-run rally in the eighth inning, the Redbirds took Sunday’s match-up in El Paso by an 8-6 score. The Chihuahuas entered the eighth with a 6-5 lead. Memphis third baseman Patrick Wisdom capped off a stellar evening at the plate with a solo home run to lead off the inning and tie the score. Wisdom, our Player of the Day, was 3-for-5 with a two-run homer in the first inning, the game-knotting blast in the eighth, and three runs scored. 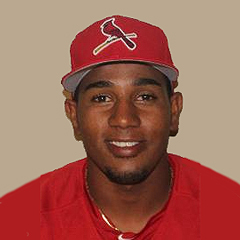 Pinch-hitter Oscar Mercado put the Redbirds ahead with a two-run single. Right fielder Adolis Garcia scored two runs, and shortstop Alex Mejia drove in two runs. Memphis starter Chris Ellis fanned seven batters across his five innings of four-run ball. Arturo Reyes wore a blown save, as he allowed two runs without a recording an out in the sixth before Sean Gilmartin logged two scoreless frames. Gilmartin picked up the victory to improve to 4-2. Conner Greene pitched a scoreless eighth for his first hold, and Edward Mujica followed suit in the ninth to earn his fifth save. Monday’s game: Dakota Hudson (8-2, 2.18) at El Paso Chihuahuas, 8:05 PM Central time. On a bases-loaded walk with two outs in the bottom of the ninth, the Drillers delivered the Cardinals a 7-6 loss – the club’s fourth defeat in a row. Springfield has already been eliminated in the first-half playoff race. Ian McKinney was called upon to pitch the ninth with the score tied at 6-6, faced six batters and lost the game without the ball ever being put into play. McKinney struck out the first Drillers batter he faced, walked two in a row, struck out a batter, and then walked two more. The second pair of free passes loaded the bases and forced in Tulsa’s walk-off score. McKinney was the Cardinals’ fourth pitcher. Connor Jones allowed four earned runs in 5 1/3 frames, Austin Sexton recorded five scoreless outs, and Jason Zgardowski gave up one run in the eighth. McKinney’s record dropped to 2-1 with the loss. 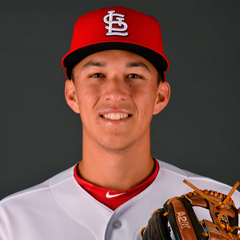 Cardinals second baseman Tommy Edman went 3-for-5, including his 12th double of the year, and first baseman Stefan Trosclair was 2-for-4 with his third home run. Third baseman Evan Mendoza and right fielder Granden Goetzman each batted in two. Springfield hitters totaled 12 strikeouts, with left fielder Victor Roache whiffing three times and center fielder Lane Thomas fanning twice. 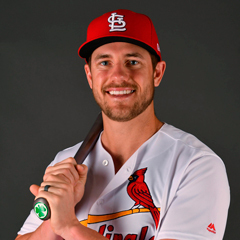 Monday’s game: Anthony Shew (3-2, 5.22) at Tulsa Drillers, 7:05 PM Central time. The high-A Cardinals were off Sunday after Saturday’s Florida State League All-Star Game. The 39-23 Beach Birds lead the division by two games over Jupiter with an elimination number of four to clinch the first-half title. Palm Beach will face the Tortugas on Monday at 6:05 PM Central time in Daytona Beach. Starting pitchers have not been announced. With nine runs across the final three innings, the Chiefs stomped the Kernels by a 12-3 score on Sunday. With the win, the 39-31 Chiefs clinched the division’s first-half wild card playoff berth, making this Peoria’s fourth consecutive year for post-season action. It was a team win as the offense pounded out 18 hits, with every starter collecting at least one and seven batters with multiples. Second baseman Irving Lopez launched a two-run home run and Elehuris Montero smacked a solo shot in the fifth inning. Left fielder Nick Plummer went yard for a run in the seventh, and J.R. Davis added a two-run homer in the eighth. Catcher Dennis Ortega delivered a two-run single in Peoria’s big ninth inning. First baseman Yariel Gonzalez, right fielder Matt Fiedler, pinch-hitter Bryce Denton, and third baseman Jose Martinez each knocked in a run in the six-run frame. Chiefs starter Jesus Cruz allowed one run on six hits and two walks in his four-inning outing. Following C.J. Saylor’s 1 2/3 frames, Frederis Blanco turned in 2 1/3 innings of scoreless ball. Thomas St. Clair allowed a run in the ninth as he walked three batters, but he was able to record the final three outs and secure the win. Blanco collected the win and padded his record to 2-0 for the season. The Chiefs are off until Thursday, for the Midwest League All-Star break. The All-Star Game will take place on Tuesday at Cooley Law School Stadium in Lansing, Michigan. Peoria has six representatives on the Midwest League West All-Star squad. First baseman Yariel Gonzalez, second baseman Irving Lopez, and third baseman Elehuris Montero were elected as starters, and catcher Dennis Ortega and pitchers Bryan Dobzanski and Thomas St. Clair are also on the roster. With two runs in the top of the 10th inning, the Spikes came out on top of the pitching-rich affair with a 2-0 win in Williamsport over the Crosscutters. Spikes starter Angel Rondon was outstanding, logging seven scoreless innings with as many punchouts. Rondon surrendered only three base runners – two singles and one walk – as he needed only 87 pitches (55 strikes) to record 21 outs. Jacob Schlesener worked 2/3 of an inning, and Gabriel Gentner picked up the win as he recorded four outs. Cory Malcom earned his first save with the Spikes with a clean 10th inning. With center fielder Justin Toerner the runner at second base to open the 10th, designated hitter Stanley Espinal lifted a two-run home run to left field. For the Spikes, Espinal’s home run was only their fifth hit of the game, but it turned out to be more than enough for the victory. Monday’s game: Jim Voyles (0-0, 0.00) vs. Mahoning Valley Scrappers, 6:05 PM Central time. Monday’s games: DSL Cardinals Blue at Rockies 1, DSL Cardinals Red vs. Brewers, 10:30 AM Central.